This is a hand carved wood sculpture. 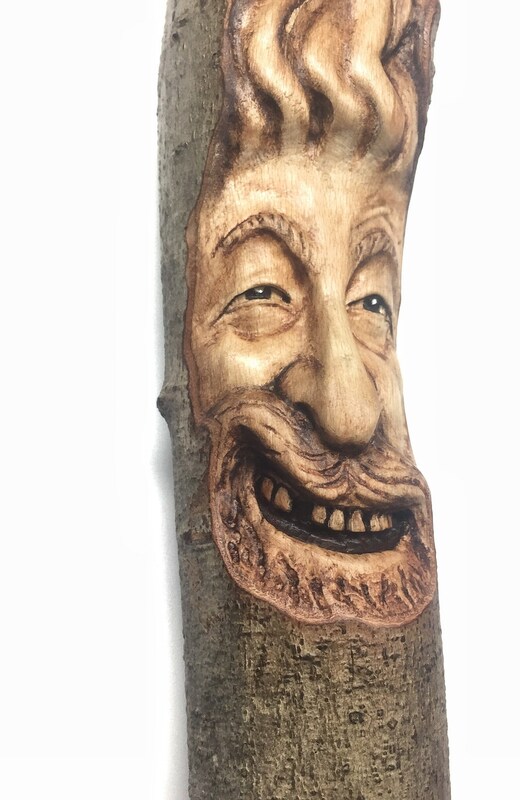 I made this carving in a dry piece of Beech. This is a very difficult wood to carve and sand, but I really love the look of the finished carving. TO GO TO MY SHOP: https://www.etsy.com/shop/JoshCarteArt, or JoshCarteArt.com. 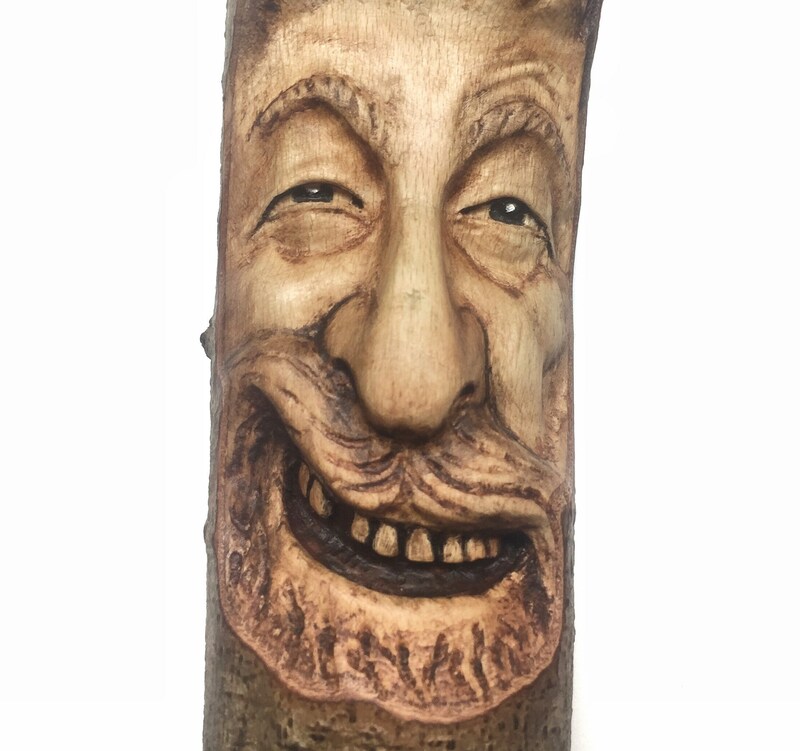 This carving can hang on the wall or stand on its own. 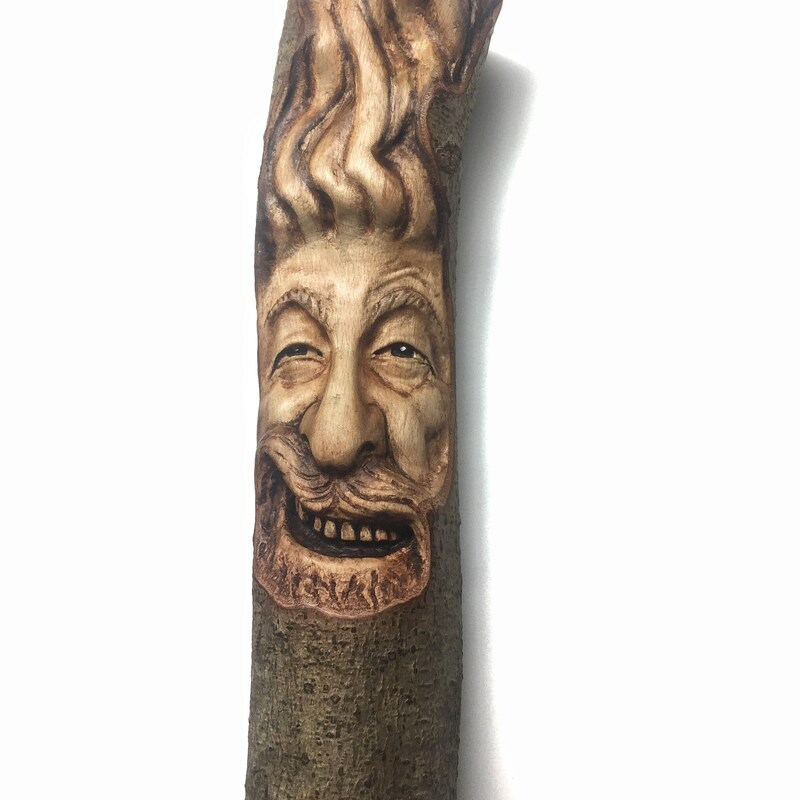 I sign and date all of my wood spirit carvings. 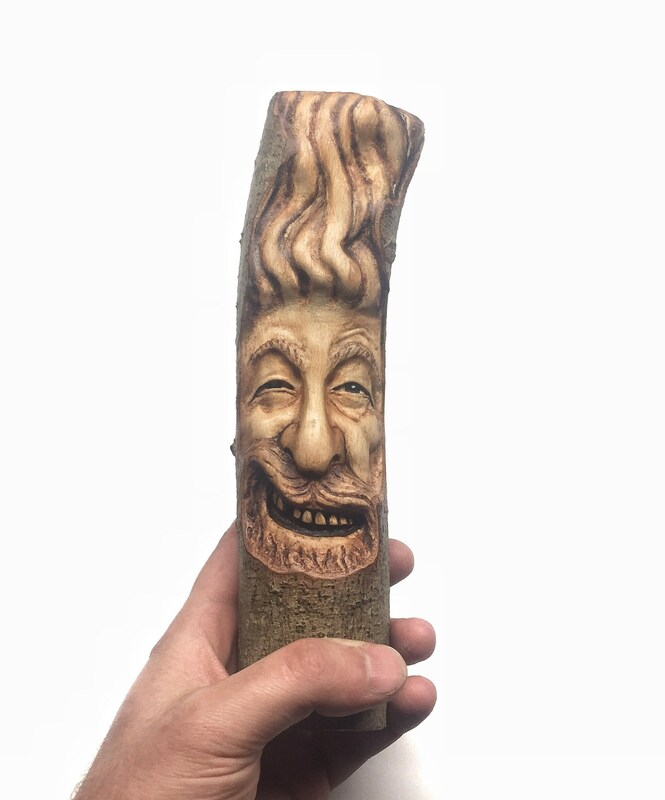 You will receive a certificate of authenticity with this carving, telling a bit about me and my process. I made this carving using hand tools, grinders, sandpaper, exacto knives, polyurethane and oil paint. 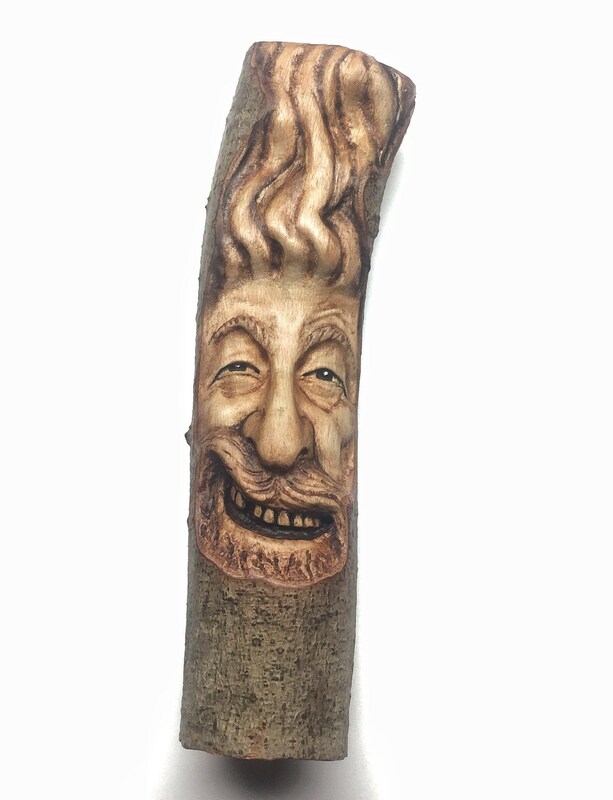 I began with a piece of Beech branch, and tediously shapes it into this whimsical fella’. I carve everyday for a living. I absolutely love it :) When you buy from me, you are helping to continue my journey as an artist, as well as helping out my family. We very much appreciated you. Feel free to message me here, carpcuts [!at] live.com or call 740-979-5511. Thanks so much!